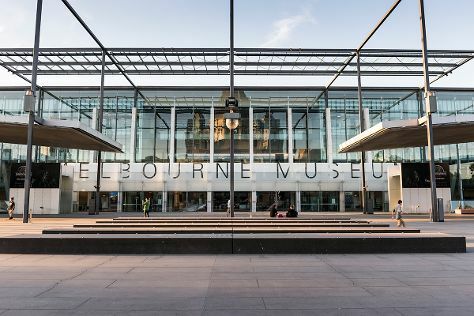 Melbourne is known for museums, shopping, parks, nightlife, and zoos & aquariums. Your plan includes some of its best attractions: take in nature's colorful creations at Royal Botanic Gardens, don't miss a visit to Flinders Street Station, examine the collection at Melbourne Museum, and enjoy breathtaking views from Eureka Skydeck 88. To see more things to do, ratings, other places to visit, and more tourist information, read Melbourne road trip site . The Route module can give you travel options from your home to Melbourne. Expect a daytime high around 23°C in April, and nighttime lows around 11°C. Finish up your sightseeing early on the 21st (Sun) so you can travel to Cairns. Start off your visit on the 22nd (Mon): get interesting insight from Tours. For ratings, reviews, where to stay, and other tourist information, go to the Cairns trip planning app . Getting from Melbourne to Cairns by flight takes about 6 hours. Other options: drive; or take a train. While traveling from Melbourne, expect a bit warmer days and much warmer nights in Cairns, ranging from highs of 34°C to lows of 26°C. Wrap up your sightseeing on the 22nd (Mon) early enough to travel back home.